To Cite: Ganjeh M, Einollahi B. Mass Fatalities in Hajj in 2015, Trauma Mon. 2016 ; 21(5):e43253. doi: 10.5812/traumamon.43253. Hajj is the second largest annual mass gathering in the world after “Arbaeen”, pilgrimage to the holy city of Karbala. Annually about 2 million Muslims gather for pilgrimage (Hajj) to “Mecca”, the holiest city in the world (from the 8th to the 12th of Zul al-Hijah, the 12th month of the Islamic calendar). 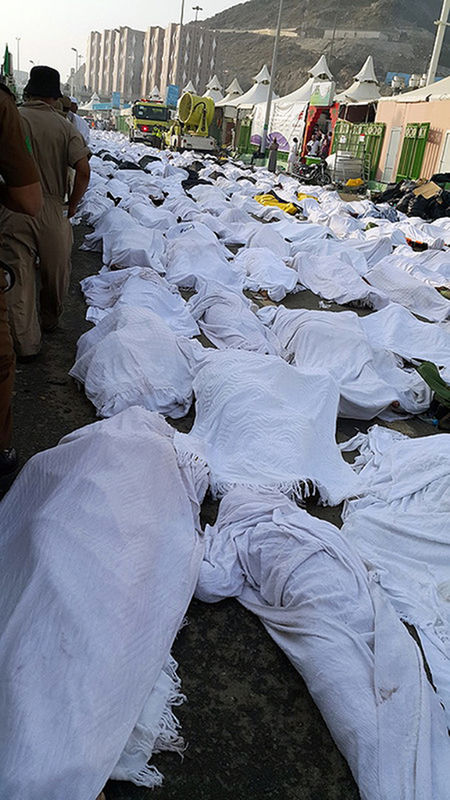 On September 24, 2015, at least 2431 pilgrims died and 427 were reported missing after overcrowding of huge masses in the blocked street of Mina leading up to Jamaraat; 465 of them were Iranian pilgrims. This event was the deadliest tragedy of the recent decade of (Hajj) (1) Figure 1. The Saudi Arabian government has not released any official statement after this major incident. On the 29th of September 2015, the Saudi Arabian ministry of health announced that 4,173 people died in the Mina incident. However, this page was removed from the website within three hours and requests were redirected to the visitor home page. Professor Keith Still, at the Manchester metropolitan university believes that “progressive crowd collapse” was the cause of the tragedy in Mina and that disaster has none of the hallmarks of a stampede, contrary to that reported by many media outlets (2). A number of survivors feel that mismanagement by the Saudi authorities and poor rescue response complicated the situation (3) Figure 2. At the Iranian Red Crescent Medical Center in Mina, more than 400 victims who suffered heat stroke in Mina were admitted. Importantly, all of them were completely treated by cooling maneuvers and improvement of hydration and no mortality occurred. Physicians emphasized that heat stroke was the main cause of death among the pilgrims entrapped in a dead-end street on the day of the incident. The temperature was about 45°C (113°F), thus rapid evacuation and cooling with hydration may have been the best life saving procedure for the victims; most of the injured pilgrims were martyred due to heat stroke and dehydration. To prevent and avoid similar deadly events, more investigation is warranted (4). Due to the political aspect, we recommend that investigation must be done by researchers free of bias. There are many videos that show the extent of the 2015 Hajj disaster in the media (5), but we could not find any medical paper regarding management of the injured pilgrims of the disaster. 1- The cause of overcrowding and problems in routing the crowd that created the crisis must be addressed. 2- The management and timely evacuation and treatment of the injured must be implemented to lower the mortality and morbidity of pilgrims. 3- Treatment of the injured and provision of supplies to save those who have been rescued must also be addressed. We thank from the staff of trauma research center of Baqyiatallah University of Medical Sciences for assessing our letter. 2. What caused the hajj tragedy? 5. 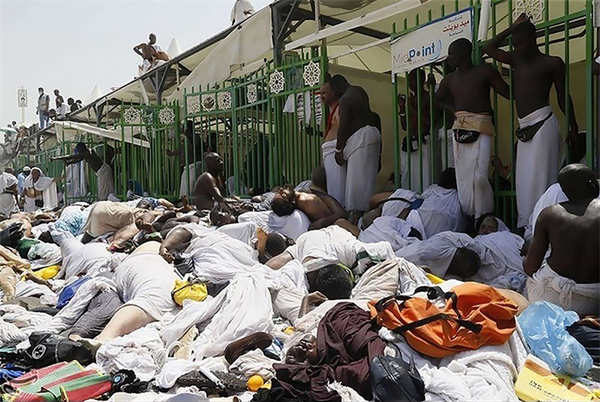 New video shows extent of haj disaster?